1) Welcome to the platform of Indiacafe24. Vihang will insisit you to give a brief about you, your background and your family? Vihang Naik : Well, I was born in Surat of Gujarat and in Gujarati language speaking family. Ashokbhai Naik , my father. Jyotshana Jadeja, my mother. Alkesh, my brother. I did my shooling in Baroda and partly in Ahmedabad. My primary school was in Ahmedabad than I was shifted to Navrachana School in Baroda than changed schools. Then again to Ahmedabad. I kept travelling with that as well. 2) Vihang , You are already a known poet of India- How was the journey so far for you? Vihang Naik : I started writing verses at rather young. I had habit of walking early morning in Garden. I was fortunate to have a Sri Aurbind Garden just next to my house in Baroda. While walking something struck me. It was just a spark. A flash. It did not leave me untill I wrote it down on a blank paper. After little reworkings it was a creative writing. Some would call it a poem. I would recite my poems to friends who would encourage me. When I entered the portals of The Maharaja Sayajirao University of Borada and enrolled my self in Philosophy and Literature in English . I formed a circle of writers and read out there from different faculity who would just come to hear me read poetry. It turned out informal poetry circle, Baroad. We encouraged poetry in all languages including English language. 3) What are the sensitive qualities which you feel need to be there to give birth to a poet? 4) Which genre of poetry attracts you the most? Vihang Naik :free verse if you call it …but I like to experiment and innovate. 5) Whom you consider as an inspiration in your life? Vihang Naik :Life , of course. 6) When people appreciate your work how you feel? 7) Who is so far your Biggest Critics? Vihang Naik :I believe, my reader. 8) Recognition and Awards matter a lot in life of every person- What are the major awards and recognition you received? Vihang Naik :Recent one is Limca Book of Records ( 2016 ) fpr my first book of poetry City Times and Other Poems which was first published in 1993. 9) Penning down a poem or penning down a story, which as per you is more difficult and why? Vihang Naik :I attempt only the difficult. Poetry. It employs a complex language and one can say a lot with few words. Vihang Naik :I usually do not pen until I am moved . I have many favorites. in the rib of words. Vihang Naik :I usually let the poem flow theme develops by itself . If you focus theme than it is likely that you will not get the poem. 12) Say something about your life beyond poetry? 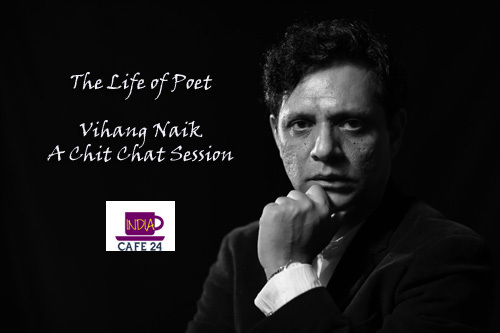 Vihang Naik : As for me there is no life beyond poetry. Usually I take a long walk. But there is so much of traffic these days. When I visit urbane cities there is no space left for casual walk. City creates some definite kind of mind set where one is not aware and always with speed obsessed. Moreover. As I have observed there is little public space left. Our urban space is turning into concrete jungle while rural area does not have parks. There can be public mission in creating public spaces in creating public gardens in cities and rural areas. 13) What are the different languages in which you write your poems? 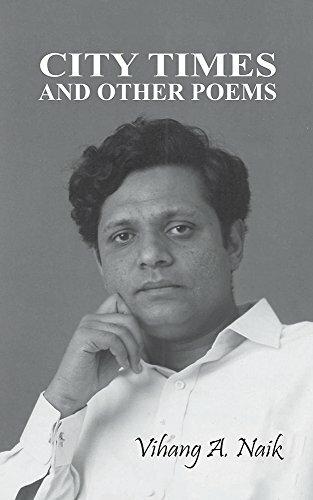 Vihang Naik :Besides poetry in English , I practice writing poetry in Gujarati language as well and translate Gujarati Language poetry into English language. 14) What are your plans 5 years down the line? Vihang Naik :Practice humanity . 15) In one line describe Vihang – The poet? Vihang Naik : Well. You already said it for me. Thanks.